Portland, Maine signed on as an Age-Friendly Community with AARP and the Global Network of Age-friendly Cities and Communities in Sept. 2014.The office of Elder Affairs engaged two graduate students from the Muskie School of Public Service to assist with a community assessment in the spring of 2015. This consisted of a survey, focus groups, inclusion of relevant data that already existed, and an assessment of Portland’s built environment. The findings were reported out to community stakeholders at an Age-Friendly Portland Summit in June 2015. An Age-Friendly Steering Committee was formed in August. A consultant was hired to lead this group through the process of using assessment findings and other information to prioritize a work plan for the next 3-4 years of this project. 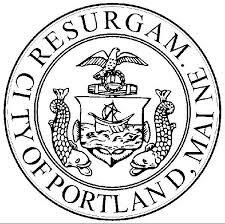 Portland is a small city, but the largest community in Maine. It has many distinct neighborhoods with varying needs. The steering committee is challenged with narrowing the focus to domains of livability that make the most sense for Portland and can benefit most neighborhoods. The top four for us are : housing, community and health services, transportation, and information. The committee and City leaders have been working for 5 months and are very close to having a finished plan and report. We are all energized by this work and looking forward to beginning the “implementation phase” in the spring of 2016!